← 580 "Friend with Benefit"
Parody of Star Trek, with the Simpsons family in a donut Enterprise, that shots their couch, and then gets shot by a ring of couches. 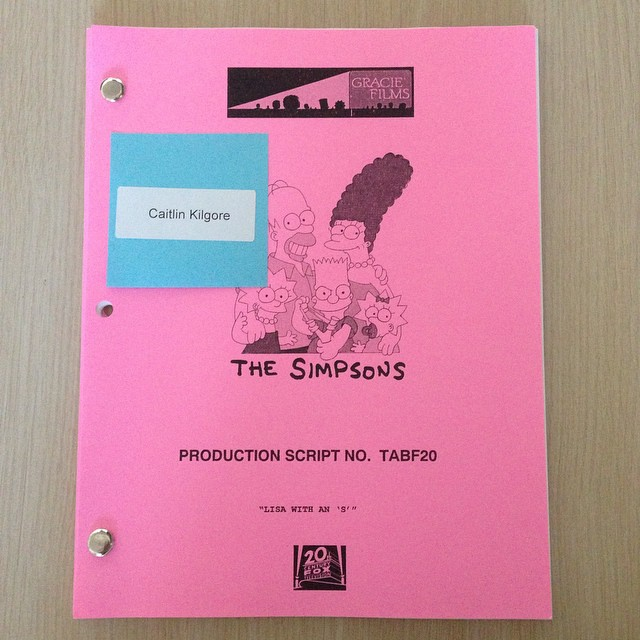 The Simpson family from "The Tracey Ullman Show" flies over. 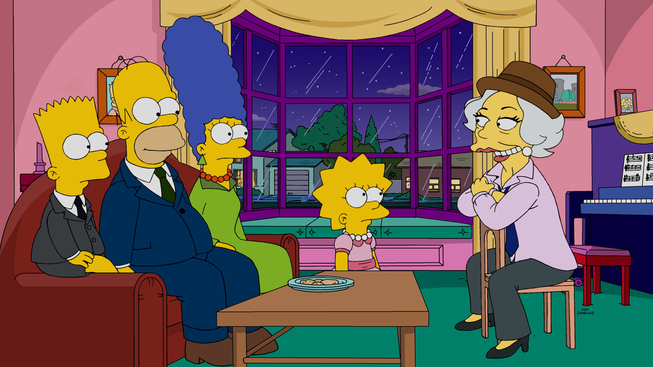 "Lisa with an "S"" is the 7th episode of season 27. It aired on November 22, 2015. "When Homer loses $5,000 at a poker game with Broadway legend Laney Fontaine, the only way he is able to settle the bet is if he loans Lisa to Laney for a month. Then, Laney turns Lisa into a show biz kid and Marge and Homer fear they made a mistake letting her go. So they head to New York to get her back." Homer, Moe, Lenny, Carl and Barney are preparing themselves for the poker night at Moe's bar. On his way out, Homer promises Lisa that if he wins, he'd afford for her time at the best Band Camp on their side of the Mississippi. 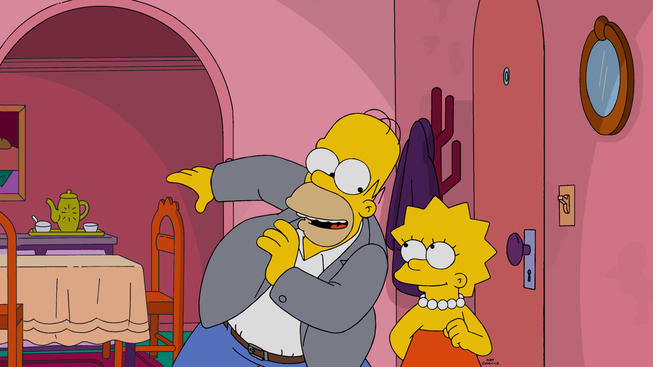 But Homer loses everything to the broadway legend Laney Fontaine, who is now dating Moe because of his liquor licence. Trying to convince Laney to give his money back, he invites her to dinner, only to show her how miserable they are. 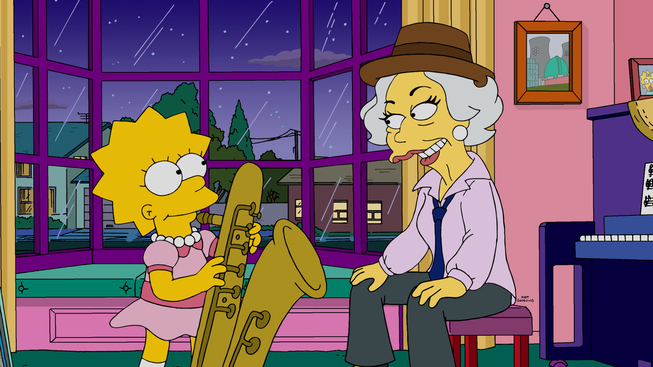 Lisa asks her to sing a song while she plays the saxophone. That's when Laney realizes that Lisa has a lot of talent and could become a famous show biz kid. She asks Marge to take Lisa for a month to perform on her shows. Marge angrily refuses, but Lisa convinces her to let her go, with a little help from Grandpa, saying this might be the only opportunity to live her dreams. Laney takes Lisa to New York, where they met Chazz Busby, Lisa's former ballet teacher. She easily passes the audition and manages to enter in one of the broadway shows. Later, during a Skype conversation, Marge realizes that Lisa is not in a good place and decides to take the family to New York to get her back. On their way to the Big Apple, the family encounters Ned's cousin, Jacob, and that Ned has brought shame to their family. 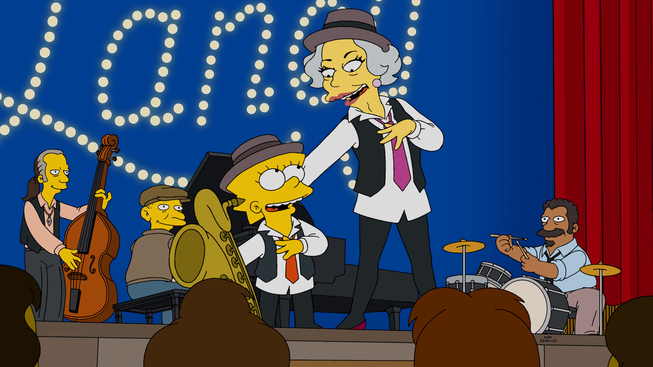 At New York City, The Simpsons realize how happy Lisa is for making part of a broadway show, and they decide to go back to Springfield without her. That's when Laney sees that Lisa could easily overshadow her at the shows and so, they could never share the same stage again. This makes Lisa sad and suddenly, she wants to go back home with her family. 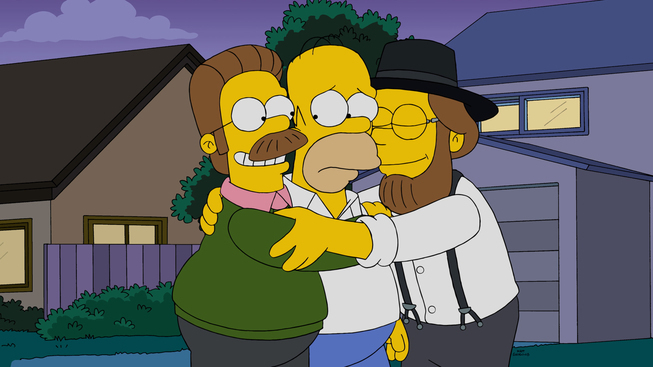 The episode ends with Homer taking Ned's cousin to 744 Evergreen Terrace, where Jacob makes Ned realize that he's guilty of pride, and both cousins reconcile by hugging Homer. The episode was watched by 5.64 million viewers. Modified on January 14, 2018, at 16:53.